Formally Green Valley Beach Family Campground, the new owners have completely renovated the campground and atmosphere and renamed it The Great Divide Campground! They have a full events calendar, free paddle and row boating, an air conditioned Rec Hall, Olympic size, heated, lifeguarded pool, and a stocked fishing lake! 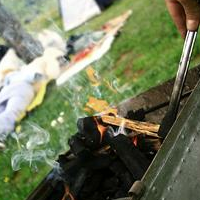 The campground has Full RV hookups, both wooded and open sites with individual and community fire rings. They also have a fully stocked campstore. The staff was super helpful. They have seasonal, monthly and weekly rates. Also online and live reservations on their website.